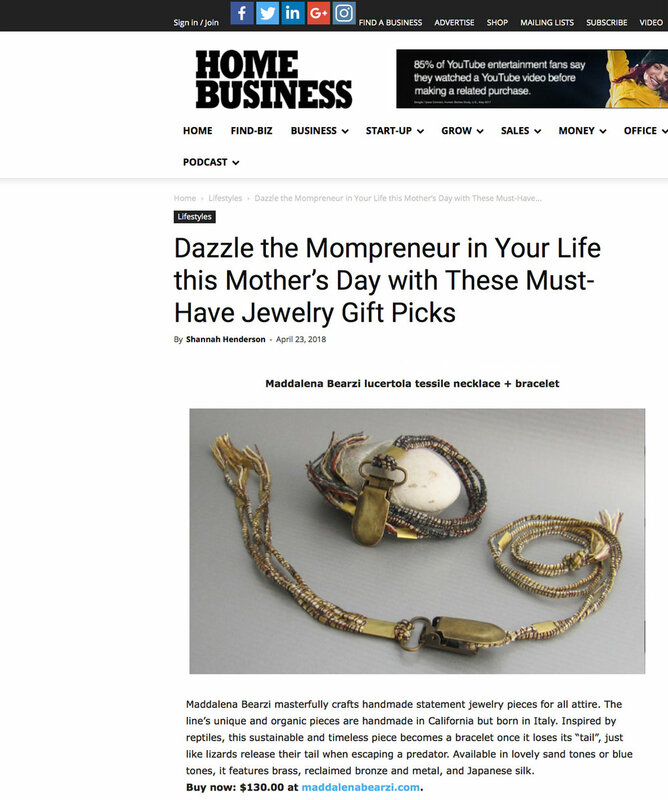 My lucertola necklace/bracelet was featured in the Lifestyle section of the Home Business Magazine this month (read: Dazzle the Mompreneur in Your Life this Mother’s Day with These Must-Have Jewelry Gift Picks). Inspired by reptiles, this sustainable piece becomes a bracelet once it loses its “tail”, just like lizards release their tail when escaping a predator. Available in lovely sand tones or blue tones, it features brass, reclaimed bronze and metal, and Japanese silk.